The best choice of a cash register depends on the needs of the restaurant. In Italy there are still widespread classic models in which the holder manually type the price of individual dishes inside a command, annotated by hand on a special sheet. A similar solution can not be excluded at any cost. However, only the activities with a reduced number of tables, with a limited menu and with a low receipt frequency can rely on the simple cash register without worries. This is, for example, the case of restaurants, trajektore and family-run taverns. 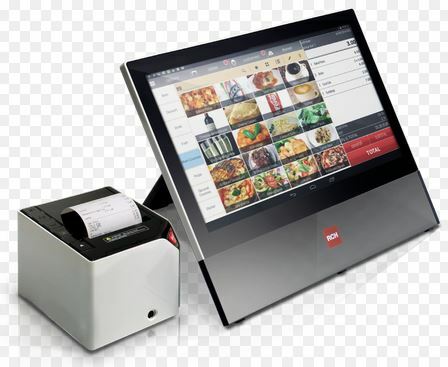 Among the most modern solutions, however, are the cash registers on PC to be present more in restaurants that require a simplified management of the activity. The choice of software is crucial, since they may or may not offer a wide range of features. In some cases the programs are nothing more than a graphic transposition of the simple cash register, in others they become a complete management of the activity. The cloud cash register is the most advanced version of the cash point, ideal for young and dynamic contexts. The undisputed technological superiority of this system is embodied by a simple use app that allows the owner to check in real time the activities, collections, statistics, accounting and stocks in stock. The determining feature of the cash register and cloud-based management system is undoubtedly the branched accessibility on different authorization levels. In other words, the manager can create a profile for each staff member, determine his role and associate it with functions which he can perform within the application. In this case, a common smartphone can be transformed into a device of the cash register, able to communicate in real time the orders and requests of customers, payments received and so on. Those that are interested in a complete restaurant management solution should consider the cloud system. The classic cash register still resists on the market and the most important brands maintain its production. Characteristic of the simple cash register is the fiscal printer integrated within the same machine. It is a thermal printer that allows you to customize the receipt with the data required by law. The most modern machines also allow to obtain a managerial or fiscal relationship that can be transferred to a computer. The cash register on Windows or PC-based computers has a more involved size of the cash register, with greater functionality accessible through an easy-to-use graphical interface. They operate with locally installed Windows software, independent of online platforms and other types of external connections. All-in-one and modular systems are distinguished within the same category. The software is installed on a machine specifically designed to serve the cash point functions, complete with printers, drawers, displays and keyboards. The modular cash register can instead be installed on common computers – provided and they have a compatible operating system – or on machines are available to the same suppliers. In this case, we will have a device with software whose potential is extended by adding the peripherals necessary for the activity ( drawers, scanners, labellers, etc.). In both cases the software can adapt to classic devices (computers with keyboard and mouse) or to the most modern touch screens. Some companies grant the license to use the software, others offer the software with a special device and devices with a leasing contract. Cloud-based cash registers are the most advanced version of cash registers. The software closely linked to an internet connection is installed locally on a server accessible through appropriate compatible applications on mobile and / or fixed devices. Ease of use makes the intervention of a technician for installation and configuration unnecessary. In fact, these are simple apps for tablets, smartphones or computers that are accessed with their own credentials. 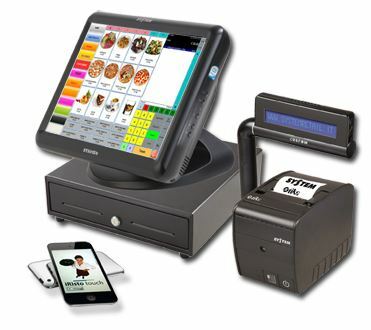 The potential of networked cash registers is very high, especially in the case of a particular sector such as catering. These applications allow the various staff members to update the recorder in real time with information about the activities in progress (eg tables, orders, collections). Cloud-based recorders typically operate on Android and iOS-Apple mobile systems and need an internet connection. However, some systems operate partially offline, recording information on the device used and transferr it later to the cloud database. Also in this case the cash point can be enriched with the necessary peripherals and therefore constitute a complete offer for the management of the activity. It also reports the availability of free management app. 1.Take care of your appearance and your outfit. Cleaning and orders are the basics of a good presentation. Never present yourself with the crumpled or stained jacket or split. Pay attention to posture and attitude. Never hold your hands in your pocket! 2.Welcoming customers in a courteous and hospitable way. Do not discriminate, all customers are equal for social class or reputation and deserve the same treatment. Pay attention to fixed customers. It is important to note or even just store tastes, allergies or special requests of affectionate customers. 3.Keep the memory trained. It is very useful to store the layout and the number of tables, to know perfectly the menu proposals and to remember some orders to make the service faster. 4.Always carry the necessary accessories: service napkin, lighter or match, bottle opener, order notebook. 7.Serve the dishes in the right way. It always starts with the ladies, you bring the dish from the right and pulls it from the left, keeping the dish down and never at the face of the customer. 8.Just bring the bill when you are asked for it and leave it immediately afterwards without waiting for your payment. 9.Do not ever travel empty from the kitchen to the room or vice versa. Make sure you always have something in your hand and do not give the impression that you have nothing to do. Stay in the room, watch out on the tables and the customers, so you can make any demands or requests. Captain, discover the secrets! Tips on the facebook page of a restaurant. DO YOU WANT TO OPEN A RESTAURANT IN AMERICA? WHERE ? When we refer to America, or the United States, we are talking about a boundless territory in which there are very different realities. The differences can be enormous both between the different states and within the same state. And so, where to open a restaurant in America? You will necessarily have to take into account the particularities of the place you have chosen, and act accordingly. Below you will find a brief introduction on what are the most popular places in the United States to open an activity of this type. New York is home to those that are among the best restaurants in the world, a land where you can compare between avant-garde and great stars of the firmament of world cuisine. But there are also other types of situations in New York: quick and genuine cuisine, fast food, street food, space for regional restaurants. New York is a world that can allow the development of any kind of idea. the Big Apple is a city that is a small world, a universe within which everything is found and the opposite of everything. But there are also other types of situations in New York: quick and genuine cuisine, fast food, street food, space for regional restaurants. New York is a world that can allow the development of any kind of ideas. This has been for decades the buen retiro of the middle class Americans, an enchanted place to live the summer all year round. For almost two decades it has also been transformed into a first-rate tourist destination, between VIPs, wealthy middle class and fans of nightlife. Even Miami offers opportunities for any good idea that you are ready to develop, even if the city’s climate is perhaps more suitable for light and healthy cooking. The hip city par excellence, which today embraces digital progress made in the USA in its bay. San Francisco, as well as the largest of the cities of California, is rich and has a very special attention to all the healthy foods of the last generation; opening a fry in San Francisco may not be a good idea. Warm climate, home of spicy and spicy Tex-Mex cuisine. Texas is a rich state, highly independent and with an absolutely unique culture. Texas is another very interesting destination for those who want to go to the United States to try their luck with their restaurant. Here is another area with a very high rate of billionaires, where, however, the city is clearly divided into two between very wealthy population and widespread poverty. A very particular destination, perhaps the most difficult to establish. A destination that we often forget, because it is connected in one way to the Congress and the White House, at least in our imagination. This makes us forget however that also Washington D.C. it is a lively city, where you can find your fortune with your restaurant. There are obviously many other possible destinations for those who want to go to open their restaurant in the United States and will be useful software to manage the orders and a successful advertising campaign. 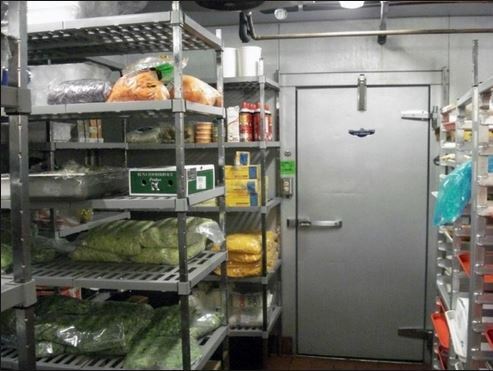 In order for a restaurant to work and build a good reputation, it is essential to take care of every single aspect. In fact, it is not enough to worry about the kitchen or the furniture in the rooms, as a restaurant is also made up of people, who with their competence and kindness can conquer the customer. In particular we are talking about the dining room staff, which represents the soul of the service and which greatly affects the image and reputation of the restaurant. For this reason, entrusting to competent and properly trained personnel is a must, in order to avoid disservices and malfunctions that could worsen the service and disturb the customer experience. Unfortunately, the management of room staff is not always done in the best way. Sometimes, for economic reasons or due to lack of time, it is preferable to choose the lowest cost personnel, which is often also the least prepared and most able to do damage. Other times, on the other hand, there is a tendency to concentrate on not properly training the staff, thus creating confusion in the tasks and tasks to be carried out. Some errors, however, are more common and common and are those that often lead the customer to move away and opt for another place. 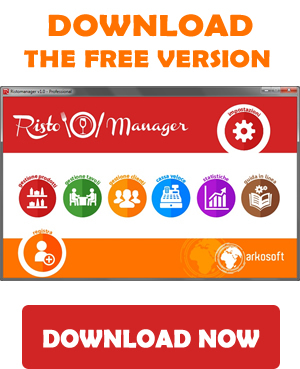 Restaurant management in 10 steps: find out more! Among the most serious and unpardonable errors that the hall staff can commit certainly falls the total lack of cordiality. The waiter has a very delicate role, as he has to interface with the client, who can be very accommodating but also very demanding. To present oneself with a smile and to always show cordiality and availability is surely the first step to conquer it and to make sure that lunch or dinner continue in the right direction. On the contrary, a surly and superficial waiter could damage the image of the restaurant and compromise the relationship with customers. This is especially true in cities where many tourists are present or the presence of foreign citizens is very high. In any case, knowing at least one foreign language, in addition to Italian is now almost an obligation and every self-respecting waiter should be able to interface with foreign customers unable to speak in Italian. Taking care of this aspect is therefore fundamental to improve the quality of the service and the image of the restaurant itself. Another unacceptable and even more serious error than the previous ones concerns the actual preparation of the hall staff. Specifically, not knowing the menu and, therefore, not being able to explain it to the customer can seriously damage the service of the restaurant. The most indecisive customer, in fact, often tends to rely on the room staff in the hope of receiving advice or more clarifications. In this case, the waiter would show incompetence and the image of the restaurant would be ruined. Features Ristomanager: find out how it works! As already anticipated, the trade of room staff is not at all simple. In addition to taking into account the character and expectations of individual customers, it will also need to move with agility and speed, so as to avoid long unpardonable expectations. The good waiter is therefore the prepared one, but also the one able to manage moments of tension and stress, which inevitably occur in any restaurant. Especially in the busiest periods, it will require a more timely management of orders and orders, but at the same time punctual and precise. To facilitate the work, the advice is to equip your tablet room staff to take orders. In this way you will avoid hand-written orders, often indecipherable or destined to be lost, and all orders will be automatically transferred to the kitchen. 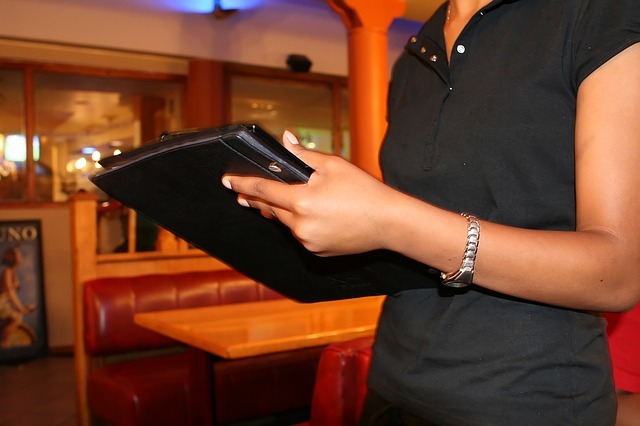 Troublesome restaurant management problems: find out what they are! This is surely the most serious mistake that a waiter can commit. The lack of preparation translates into a weaker service in which the insecurity of the waiter appears, which should always be safe and prepared. In short, as well as friendliness and kindness are the first business card for the hall staff, knowing their role and their duties is just as important. 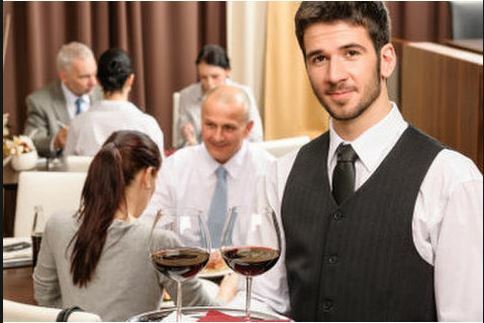 In the event that you decide to hire staff that are too young or unprepared, then the owner must also take care of the training, taking care for the waiter that acquires full awareness of his role. 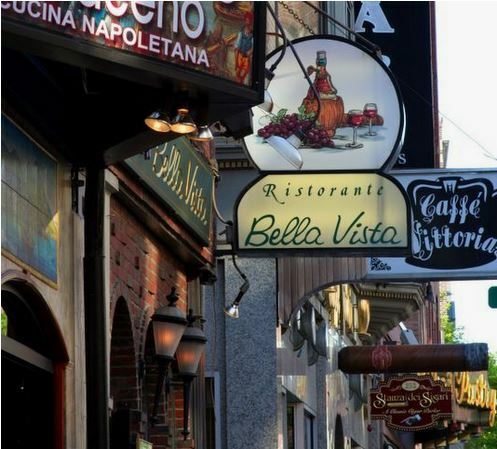 The first note is that there are of thousands of Italian and Italian-American restaurants spread throughout the country, with a clear prevalence in New York and New Jersey. The competition is really ruthless for traditional people in the United States and it’s not a big news. From the end of the 19th century, our fellow countrymen brought with them their culinary baggage that was modified to meet the tastes of the Americans. The dishes that in Italy we have never seen served in a restaurant are an integral part of the menu of every Italian-American restaurant. An example? Fettucini Alfredo, Bolognese sauce, penne with vodka, spaghetti with meatballs. It is certainly interesting to point out the profound change in our national cuisine with the tastes of the Americans. 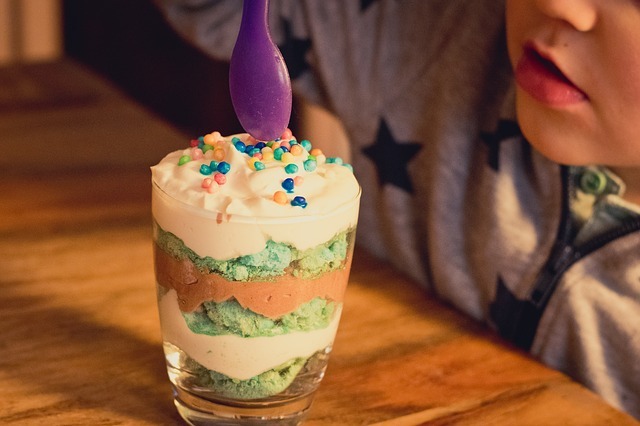 This means that your future clientele will obviously expect these dishes too. The great tradition of pizza in New York and Chicago finds two different interpretations, far from ours. This means that there are at least three different schools of pizza in the United States and that all are expressed at decidedly high levels. The Americans love to order food, go pick it up and then consume it at home. 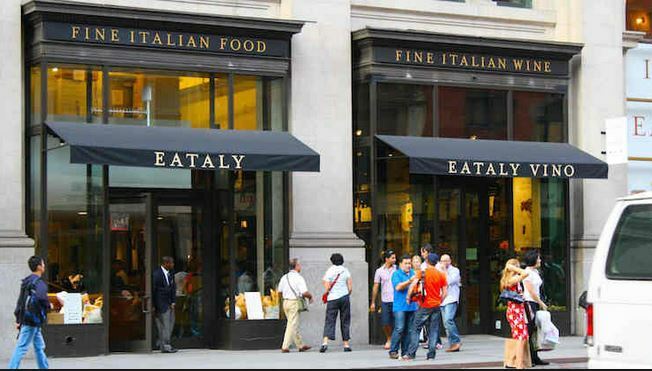 Take away is an integral part of American eating culture and many Americans love to eat while walking. Here is the symbol of this culture, the hot dog cart is omnipresent in every corner of the United States. Before leaving, you will need to have a relatively in-depth knowledge of the language, without which it is impossible to deal with the bureaucracy, or to relate with the future client. The discourse obviously also applies to the staff: if you particularly care about hiring Italian staff, choose a staff that has a good familiarity with the language. At this point you just have to start with the advertising campaign. Find out more about Ristomanager! The management of a restaurant provides control over many variables. The budget of a restaurant is a tool to always have in hand, to know the margins of the restaurant industry, the turnover balance of the restaurant and an overview of the restaurant warehouse. 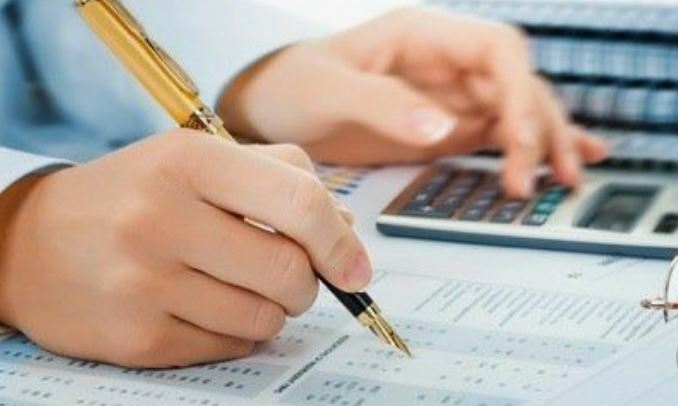 1 ° – The first task of the restaurant accounting concerns the corresponding register. This accounting book must contain the record of receipts and invoices issued during the day. The register of fees must be completed per month. Each line must report the total receipts of the restaurant, subdividing them between receipts, tax receipts and invoices. The last column must then report the sum of the transactions and must coincide with the cash closing. The register of fees can give you many ideas on how to run a restaurant. Thanks to the total fees and the number of receipts issued, on the closing receipt, you can know what is the average value of the restaurant command. Taking over a restaurant brings many obligations. Using a restaurant manager can help you keep up with your tax obligations without losing sight of the food cost. The food cost indicator represents the cost of the ingredients of each dish on the menu. To calculate the food cost you will have to multiply the average of each ingredient for the grams used in a dish. At the end of the month it may be useful to calculate the food cost, understood as a percentage between the cost of the ingredients of a dish and the respective selling price to the public. Equipped with a restaurant accounting software to manage your local that in addition to automatically fill in the corresponding register, will allow you to have an overview of the warehouse, the food cost of each dish and an overview on the management restaurant commands. In this way you will have a cash register and restaurant accounting software available with a single product. Having a check on restaurant accounting is not just a task established by law. In times of crisis, it is necessary to keep constantly in mind the financial situation of the restaurant company, in order to immediately run for cover during of difficulties. This, of course, requires a systematic check on all the most classic indicators: from simple turnover to the most difficult analysis on the most requested raw materials.